Joe and Cathy have been into Ultimate Frisbee through all their years at University of Florida (ahem, Go Gators! 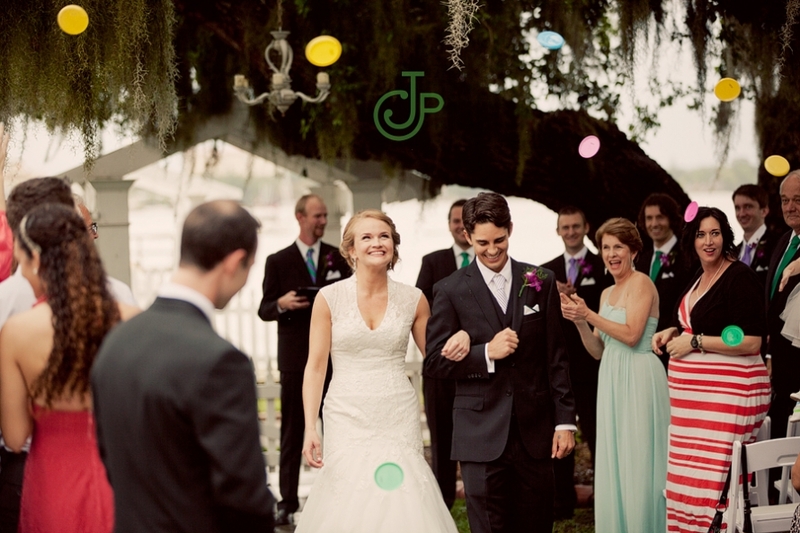 ), so it was a sweet surprise when all of these mini frisbees launched as they made their way down the aisle as man and wife! Great idea Dad! !